And yes we do have ICE!!! Lefty's Liquor is a full service liquor store conveniently located on scenic Hwy 12 in Prairie Creek, on your way to Beaver Lake. We offer a drive thru service, as well as walk-in shopping. We have ample parking for RV's and vehicles with trailers. 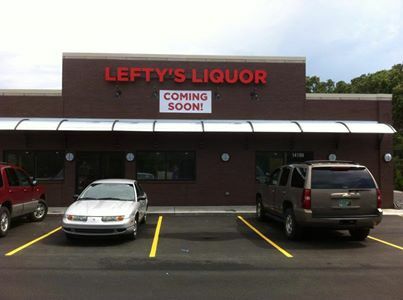 Make the right turn into Lefty's. Copyright 2014 Lefty's Liquor. All rights reserved.